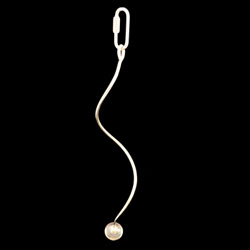 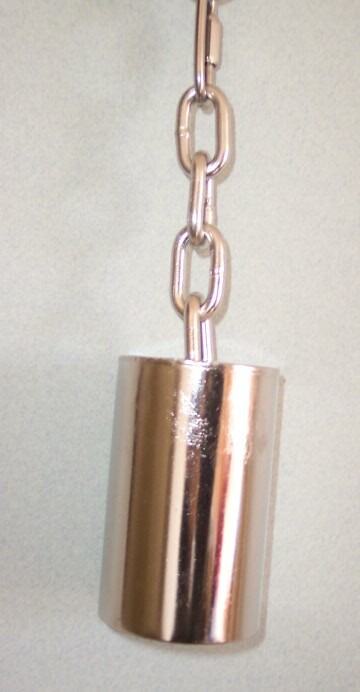 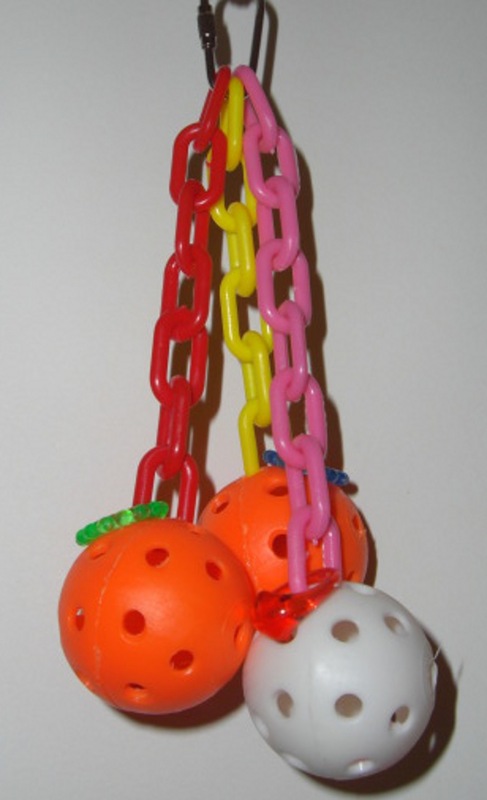 Triple 2" Birdie Ball Toy is 3 of the 2" Birdie Balls hanging from our 1" Plastic Chain with 3/4" Nickel Plated O-Rings and also includes 3 of the 1-1/4" star rings attached to a Medium Nickel Plated Pear Link. 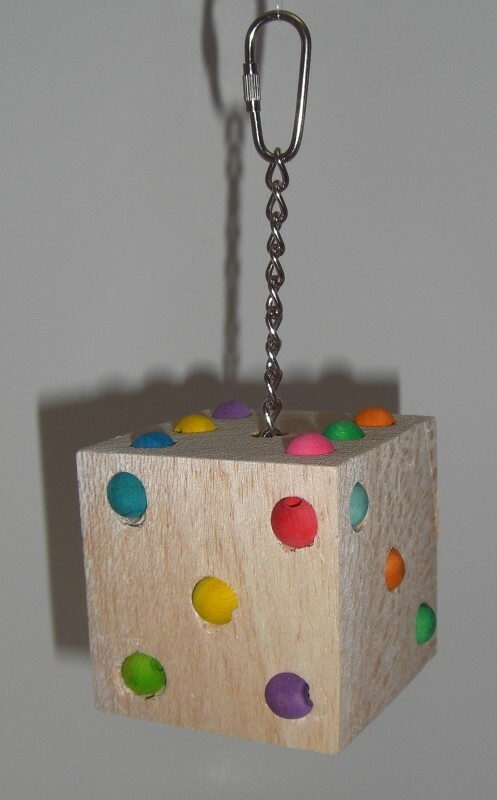 This toy is a total of 8-1/2" of fun. 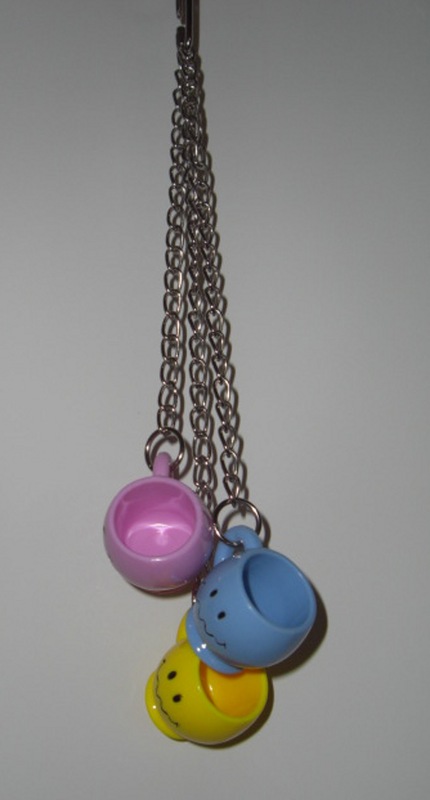 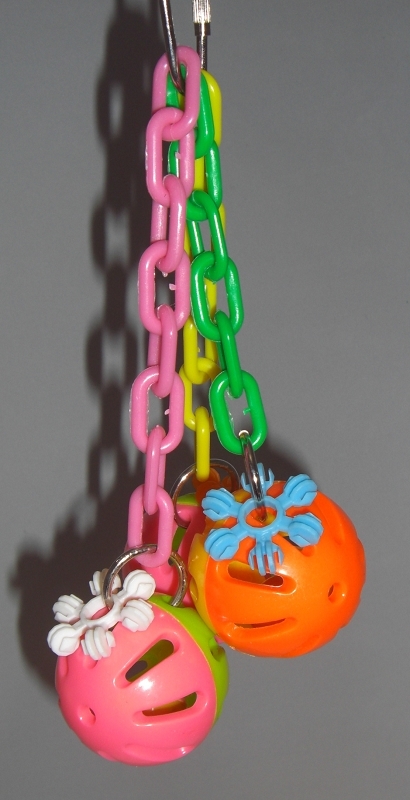 2" Birdie Balls, 1-1/4" Star Rings and 1" Plastic Chain colors may vary from picture.